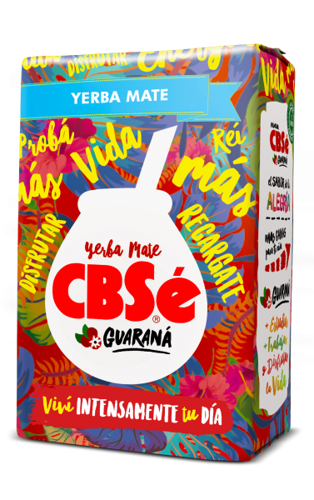 Cbs Energy is a perfect blend of Yerba Mate and herbs enriched with guarana. This combination of guarana flavor and fresh herbs such as mint, verbena, lemon makes that Cbs Energy has a very pleasant taste, improves mood and vitality. The mix of grasses and herbs enriched with natural extract of red berries of the Brazilian Guarana plant. Field Mint - works effectively when fighting with problems of the circulatory system and digestive tract. Verbena - a beneficial effect on the gastrointestinal tract, stimulates the secretion of the digestive juices and facilitates absorption of nutrients from food. Guarana comes from the Amazon rain forests. Its fruits contain a stimulant and vitamins A , B and E. Guarana acts as a stimulant, reduces physical and mental fatigue, increases the ability to concentrate and memory. Effects of guarana can be somewhat simplified compared to the action of coffee. Since, however, Guarana caffeine absorbed more slowly from the gastrointestinal tract, its effect lasts for up to six hours, and therefore about 2 hours longer than the machine - is in this case but milder, less intense. Guarana shows besides antioxidant and antibacterial. Reduces the risk of heart attacks and strokes. 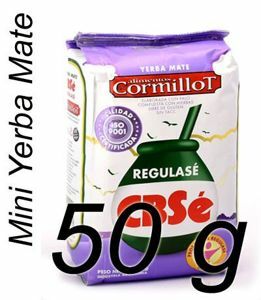 Yerba mate is also known for its stimulant properties, it makes the two products naturally complement each other and provide a healthy energy throughout the day. It is ideal for all those who are looking for a replacement for coffee. Cbs Energy will meet their expectations.